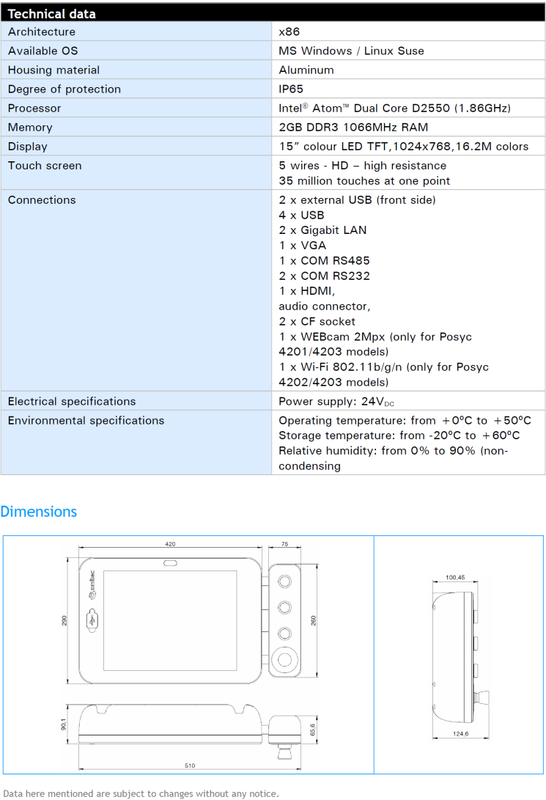 POSYC 42XX is an industrial panel PC based on Intel x86 dual core architecture and equipped with a 15” 24bits colour display and high reliable touch screen. 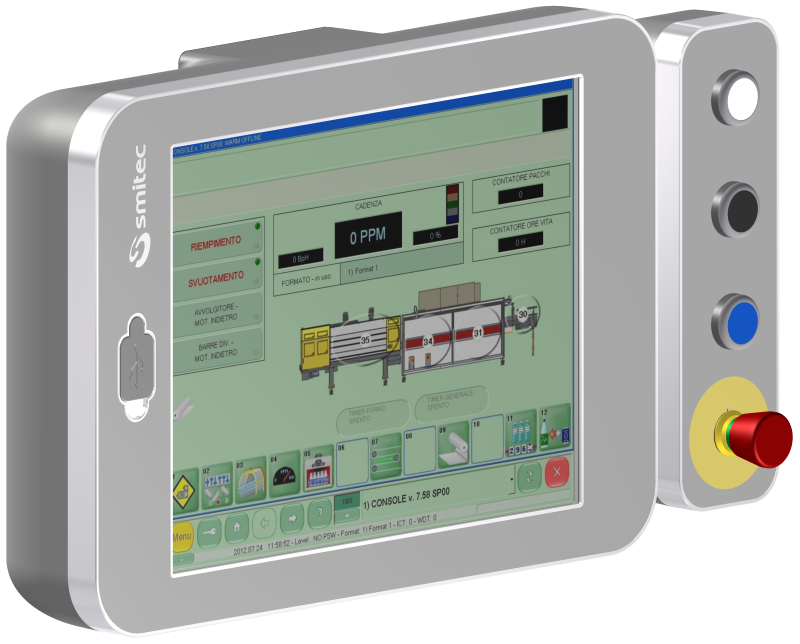 Advanced ergonomics design, iconstyle, user-friendly technology; it is designed to facilitate human machine interface (HMI) in industrial environments. Its powerful processor and lots of features available, make it ideal for many applications. VESA compliant arm or panel mount options. Rugged buttons control panel option.